Ultra-thin liners that protect the inside of your hat from sweat. 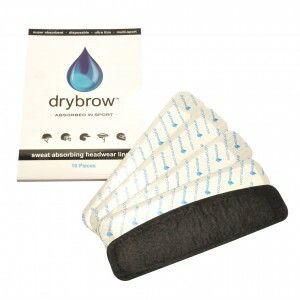 Super absorbent, they stop bacteria creating that hat smell, and make a soft layer between hat and forehead. This soft liner protects your hat from sweat, smells and stains. Each liner will last you up to six weeks and sits neatly inside your hat without altering the fit of your helmet. On rainy days or when riding in a dusty arena, this handy hat cover will protect your hat. It’s easy to fit and suitable to use with Charles Owen riding hats. This case is made from a hardwearing fabric with ventilation holes to keep your hat from rocking around, reducing the risk of damage. Keep your hat in fine fettle by spraying the deodorizer onto the hat lining to kill odour-causing bacteria and using the cleaner to remove sweat and dust. A water-resistant bag designed for hats, skull caps and top hats. Features a reinforced base and a front pocket to store your hairnet.